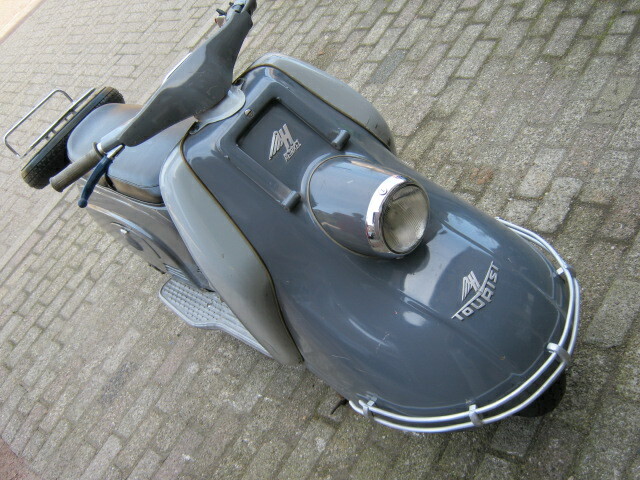 Very original Heinkel scooter from 1960, in a nice used condition. You could restore it but i think that's a shame to do. 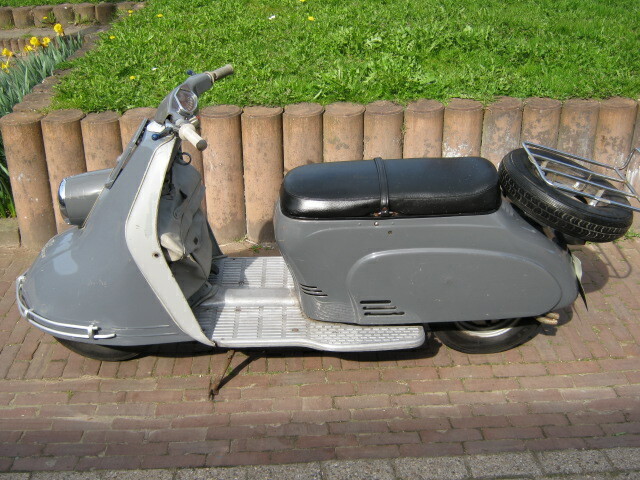 Scooter runs and rides well, and is with Dutch registration and correct engine and frame nrs. Has an original detatchable luggage bag an nice period vinyl handlecovers. Nice scooter for regulary use for instance in the city.